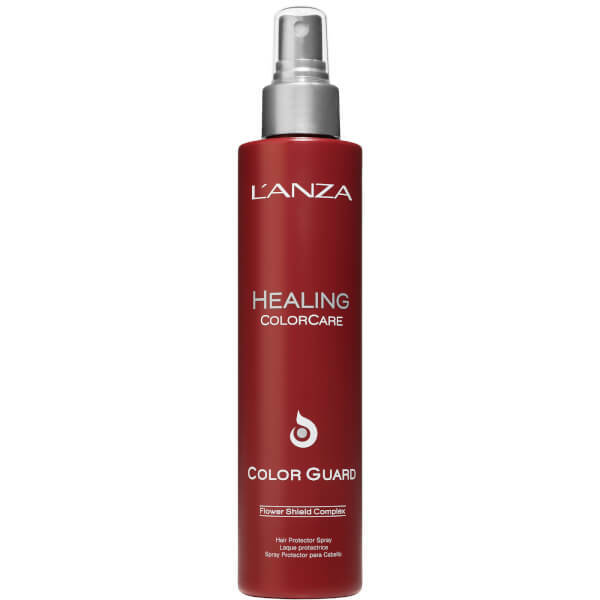 Combat dullness and fading with the Healing ColorCare Color Guard from L’Anza, a weightless, leave-in treatment that prolongs hair colour by up to 107%. Fortified with a plant-based WASH SHIELD™, the scientifically advanced formula works to protect hair against oxidative chemicals that degrade hair’s natural protective barrier, bonding individual cuticles and restoring CMC lipid layers for vivid, long-lasting colour. Enriched with essential antioxidants and UV shields, it combats environmental aggressors that cause dullness. Suitable for all hair types, use before washing to prevent colour fading and as a leave-in conditioning treatment for glossy, healthy-looking locks with revitalised colour. 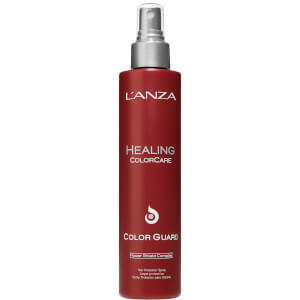 Use before shampooing or contact with water to prevent water-induced colour fading. Spray into dry hair & leave in. Proceed with shampooing. Use after shampooing to protect hair colour. Spray into towel-dried hair & leave in. Apply prior to styling & blow-drying.